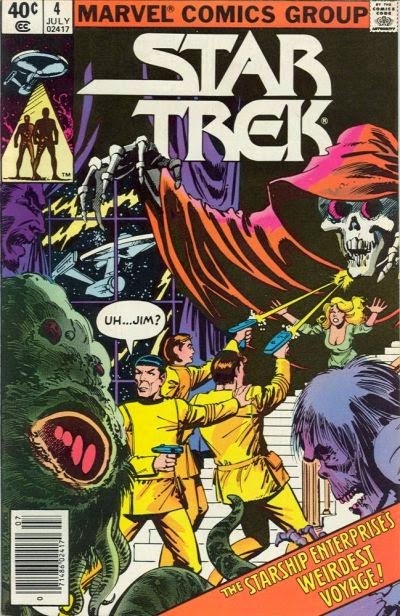 In the first part of this storyline from Marvel Comics' first Star Trek series, written by Marv Wolfman, a number of monsters attack the starship Enterprise, including what appears to be Dracula. Spock cites legends that in the 20th Century, vampire slayer Quincey Harker destroyed Dracula. 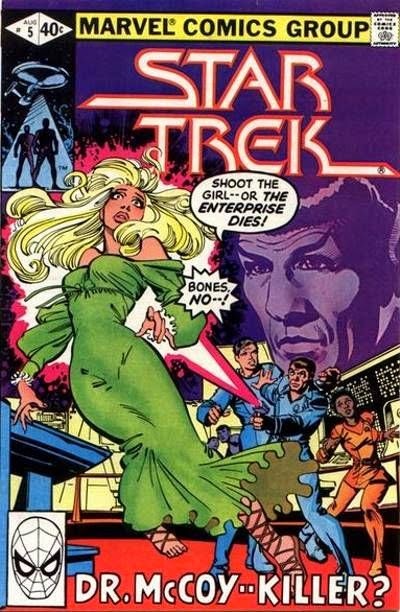 The monsters are eventually revealed in the second part, written by Mike W. Barr, to have been created with a Klingon “thought-enhancer” device. Spock's reference to Dracula's death at Quincey Harker's hands bolsters the inclusion of Wolfman's series Tomb of Dracula in the CU.